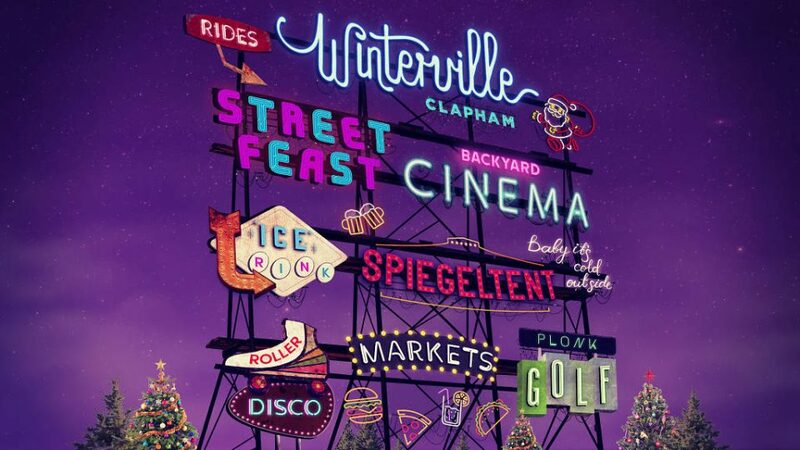 Winterville Party Wristband – £25, exclusive for Clapham Card holders. Valid Tuesday to Friday for groups of five or more. This gives the wearer access to the Ice Rink, Roller Disco, Plonk Golf and three Fairground Rides. The cost price of this would be more than £40! Winterville can add food and drink packages to this on request and reserve table areas in our Magic City Bar for these groups too.